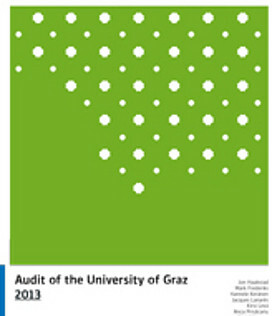 The University of Graz and its staff members aim at providing services and opportunities of high and internationally renowned quality. Quality management is regarded as the key to organising long-term improvements for students, teachers and scientists, as well as for the university as a whole. The university successfully passed the audit by the Finnish Higher Education Evaluation Council and has been awarded a quality label that is valid for seven years from August 2013. In order to ensure systematic quality development, a quality management system was installed to include research, teaching, supporting young scientists and services. optimise existing quality tools and use them appropriately.